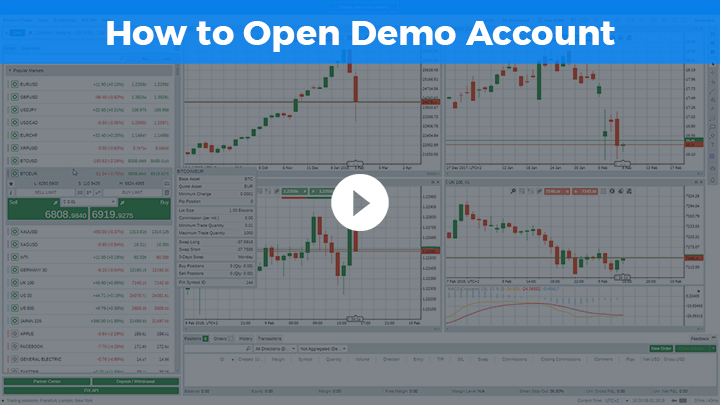 Launch the platform and select the 'Open Demo Account' option from the main menu. If you require any help, please watch our video guide. Congrats! You can now receive virtual funds up to 100K and trade risk-free! Once you launch the platform, you will be able to create your first demo account. Please watch our short video guide on how to do so and let youe trading journey begin! Practice makes perfect! Even professional traders start their trading journey with a few simple steps. Trade with a risk-free account that simulates real market conditions and boost your trading confidence.